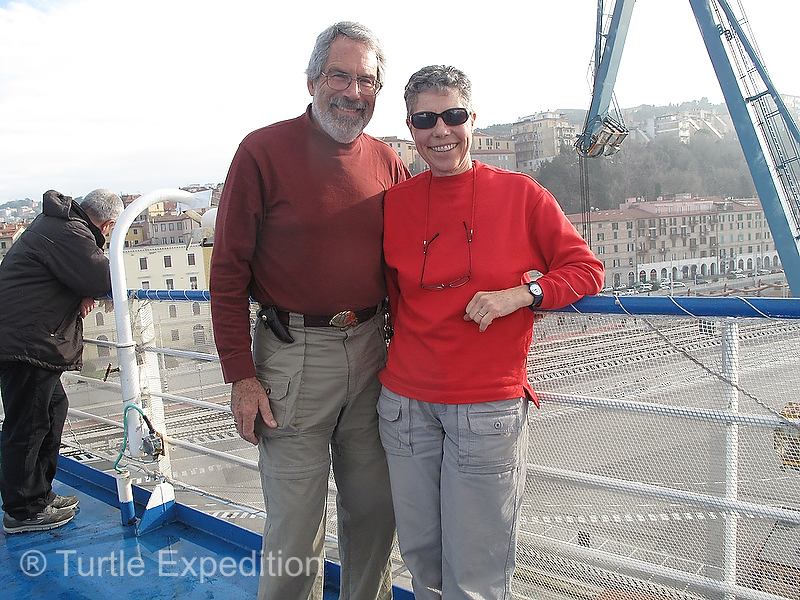 We had been playing Blog Tag with Rob and Nina Blackwell for months as we made our way across the US, shipped to Belgium, and proceeded to drive through Germany, Switzerland, France, Spain, Portugal and Italy. 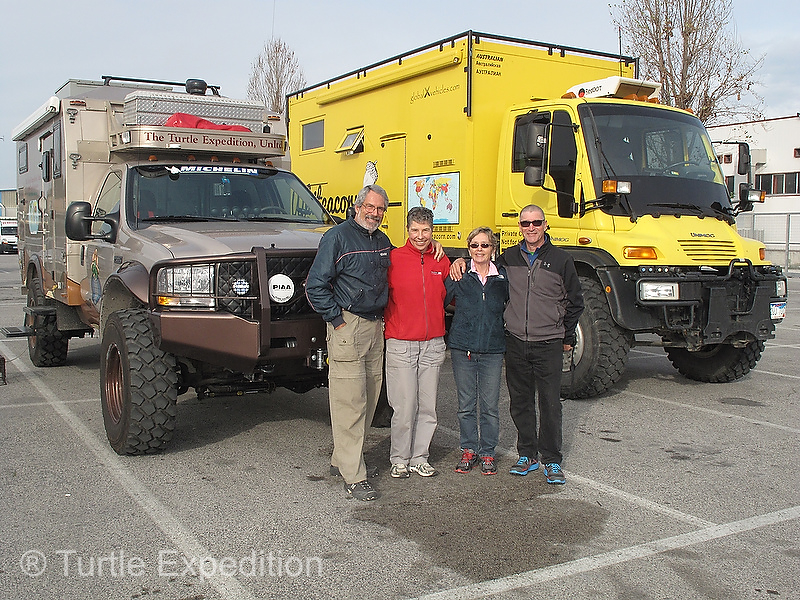 Meanwhile, Rob & Nina had started in Vladivostok, Russia and had come over many of the roads we would drive, including the beautiful Wakhan Corridor along the Afghan border in Tajikistan. 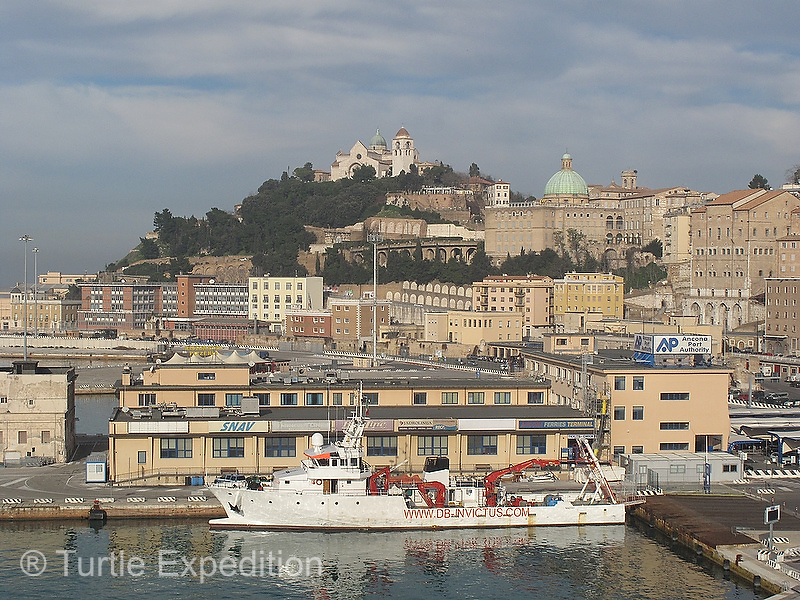 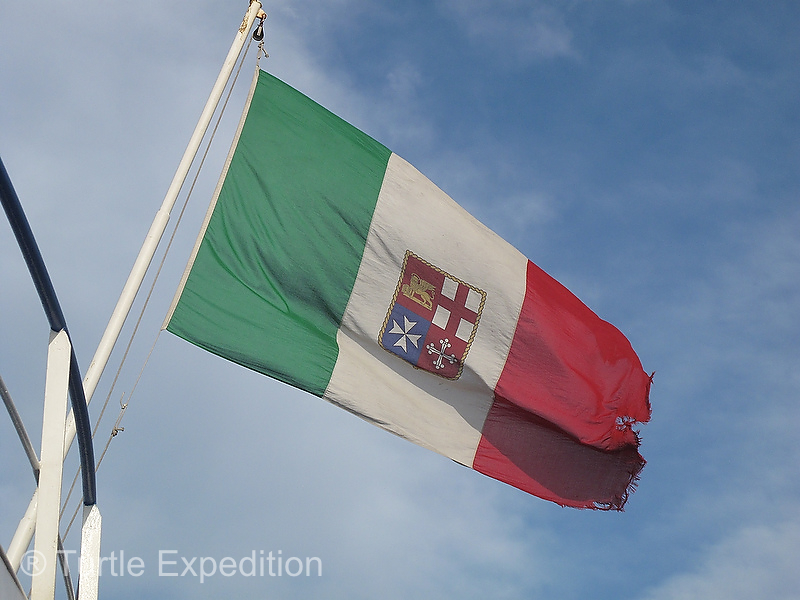 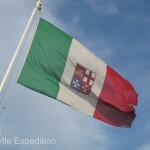 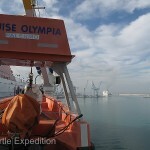 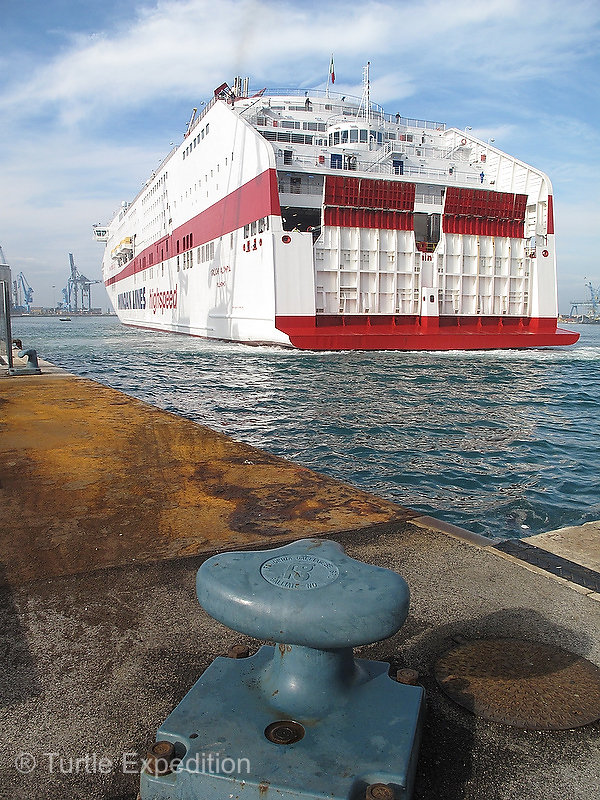 Now we were headed to Greece, and a slight change in our port of departure brought us to Ancona. 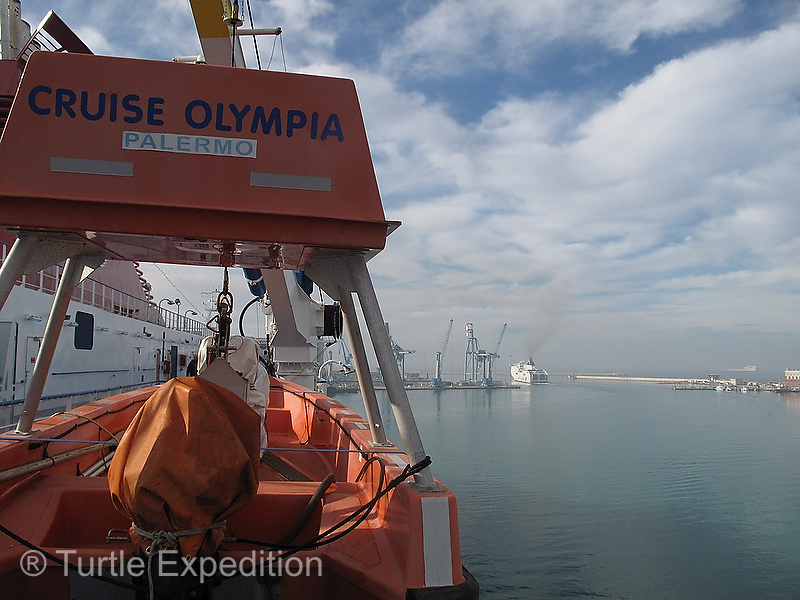 With a time schedule looking over our shoulder and the weather in Croatia, Bosnia and Herzegovina, Montenegro and Albania still under the threat of winter storms, we decided to ship across the Adriatic Sea directly to Patras, Greece and head down onto the Peloponnese peninsula. 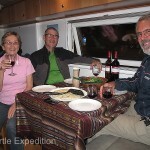 Having watched Rob and Nina’s blogs, we knew they were arriving the evening before we were leaving. 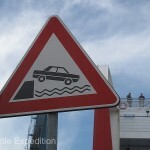 What timing! 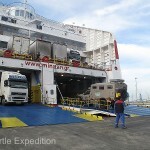 Looking at the ferry schedules we figured out which line they were coming on and we were standing at the exit when their big yellow GXV Unimog rumbled towards us. 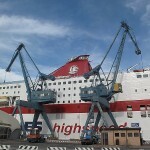 It seemed like a reunion of old friends. 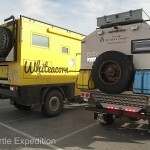 We parked in the staging area and spent the next several hours eating, drinking wine, and catching up on all the news we had to share about where we had been and where they had come from. 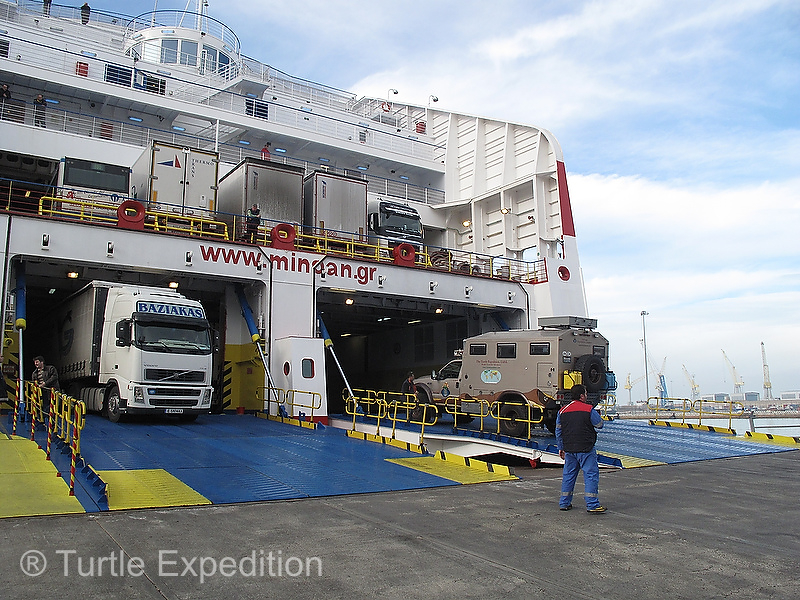 In the morning they were off towards Germany to get their ailing Unimog repaired at the factory and we were staged for loading on the huge ferry that would take us to Patras. 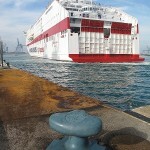 It was quite amazing to watch the number of big semi-tractor trailers pour out of the ship’s hold even as they were boarding us. 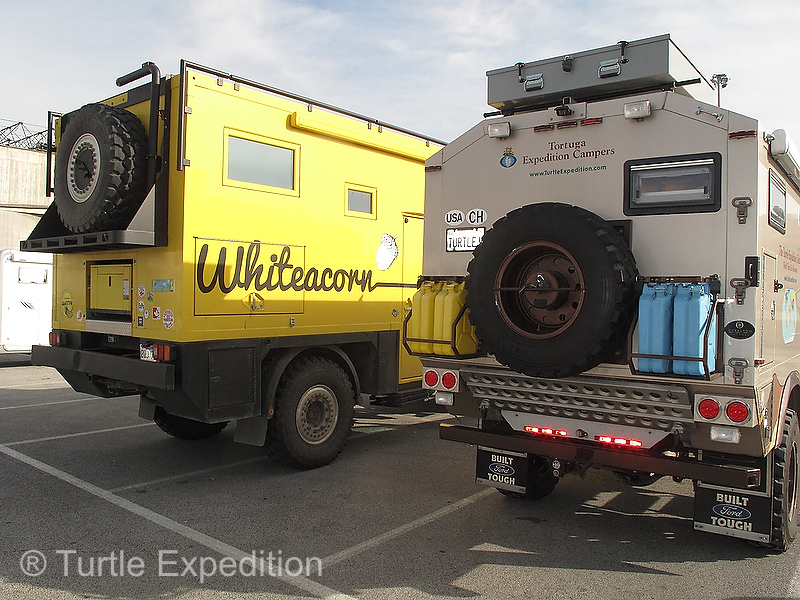 With The Turtle V safely tucked in a corner next to a big tractor-trailer, we grabbed our daypacks and headed up to our little cabin on the 8th level. 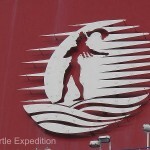 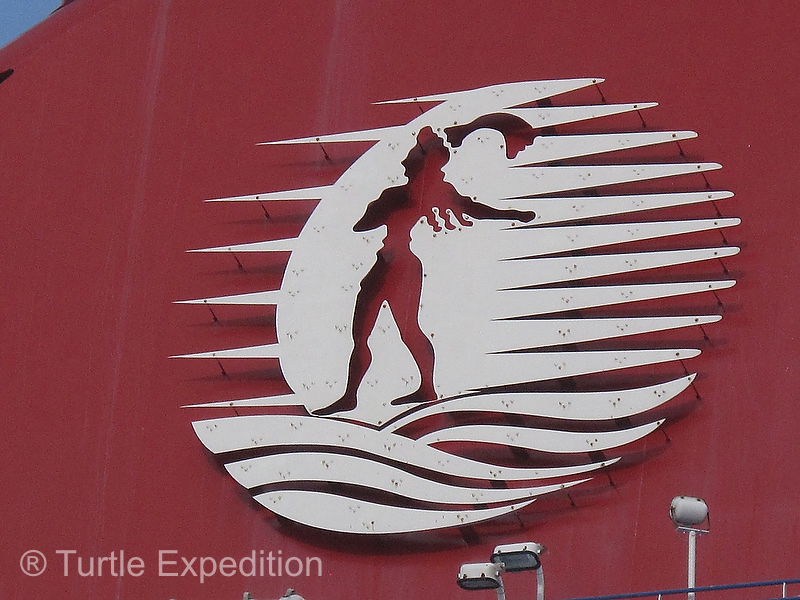 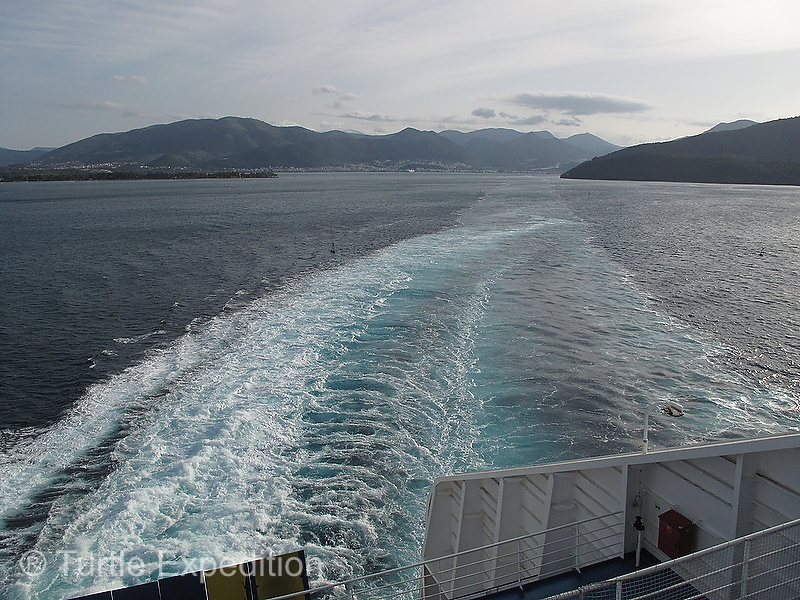 This was not a luxury cruise, but there were a couple of restaurants, a little casino, a store, a bar, a discotheque, an Internet station and plenty of outdoor decks to walk around. 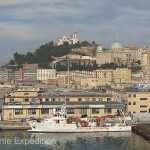 As we sailed out of the Ancona port we said farewell to Italy. 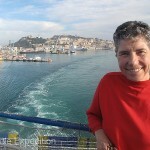 It had been an amazing country but we were looking forward to a new adventure in Greece. 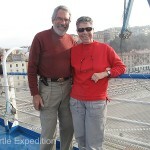 We had been playing Blog Tag with Rob and Nina Whiteacorn for months. 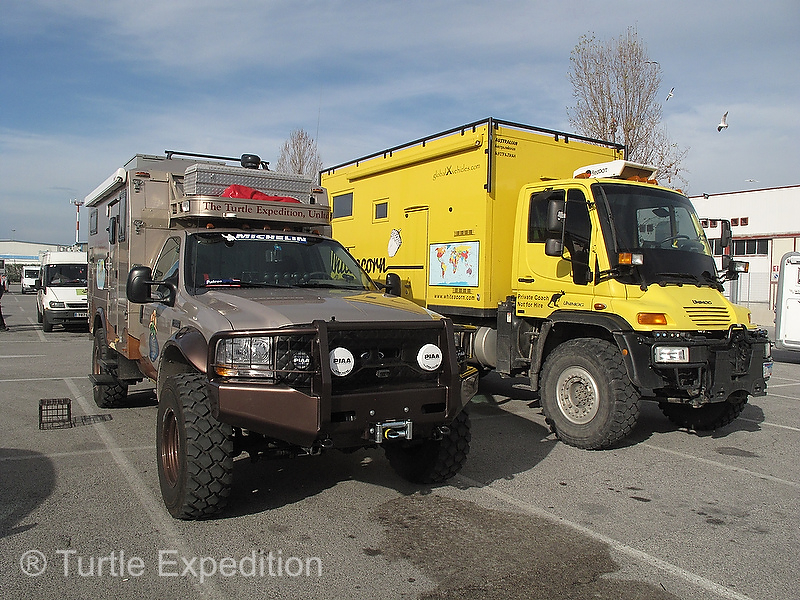 Two serious expedition vehicles side by side are always an interesting sight. 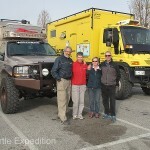 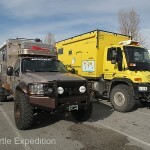 We had not seen the Blackwell’s U500 Unimog, custom built by GXV, (globalxvehicles.com), since the 2012 Overland Expo where our own Turtle V was on display. 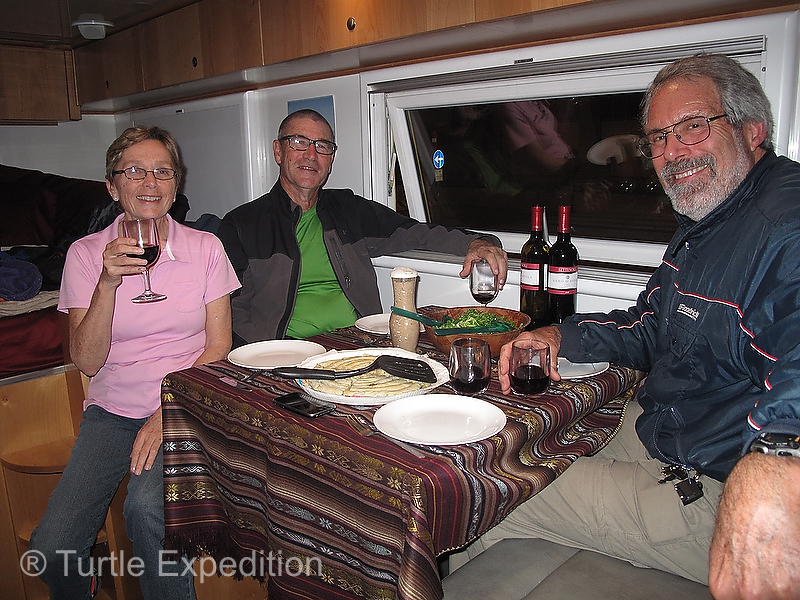 We spent an enjoyable evening sipping Italian wine from our “wine cellar” and swapping travel stories. 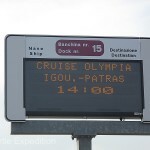 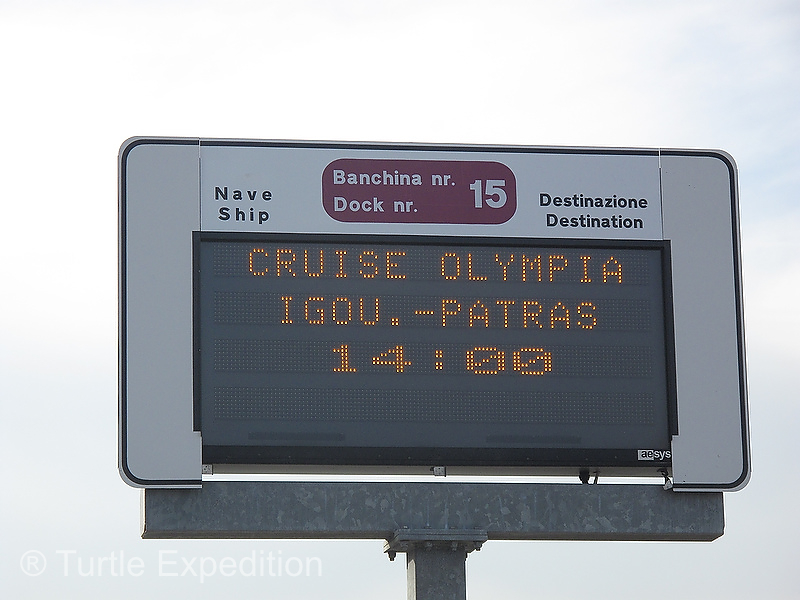 As in any airport or a big train station, the arrival and boarding times for the gigantic Greek ferries were posted in the holding area. 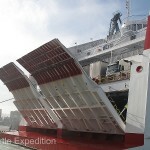 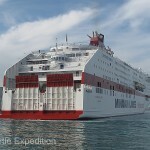 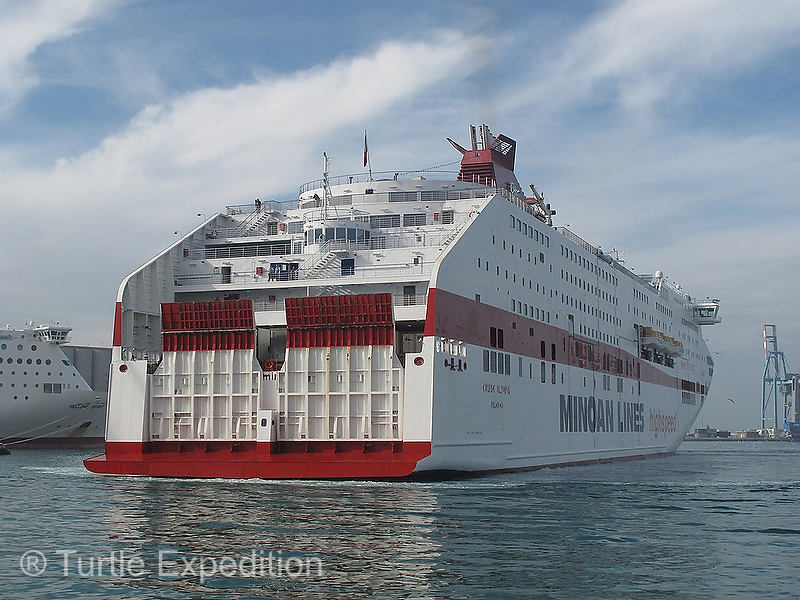 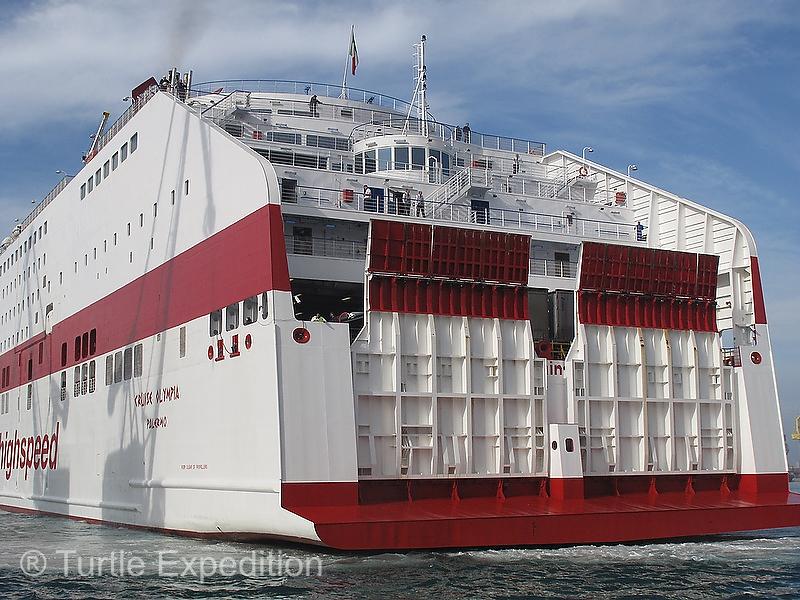 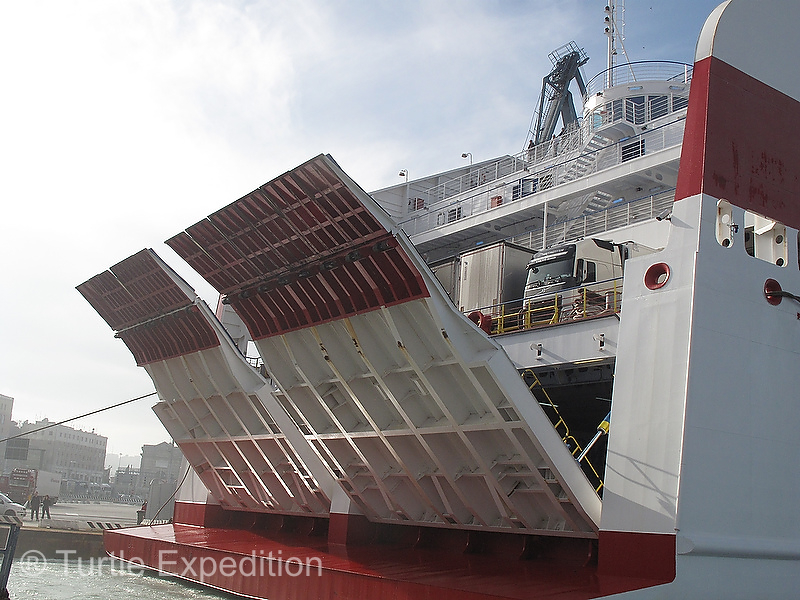 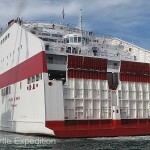 Like a cautious snail, the Minoan Line ferry inched into dock and lowered it double ramps. 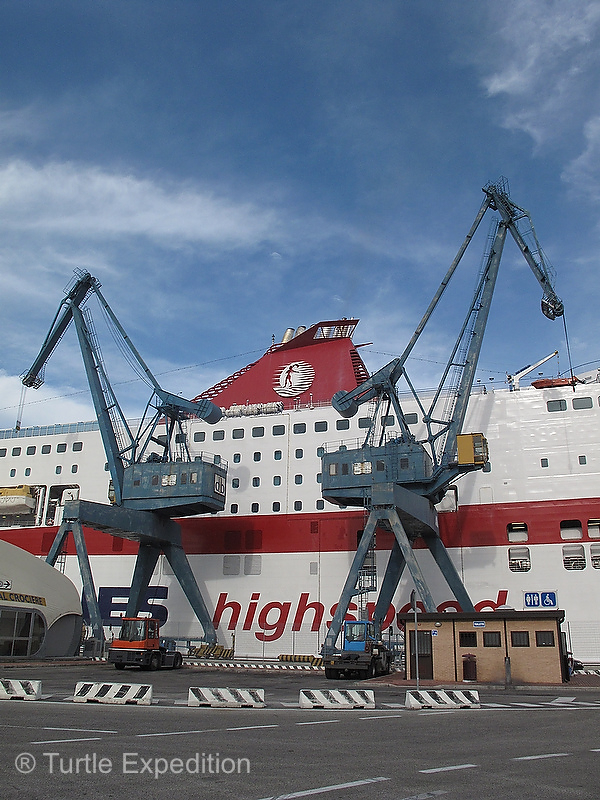 Praying Mantis cranes waited to load supplies. 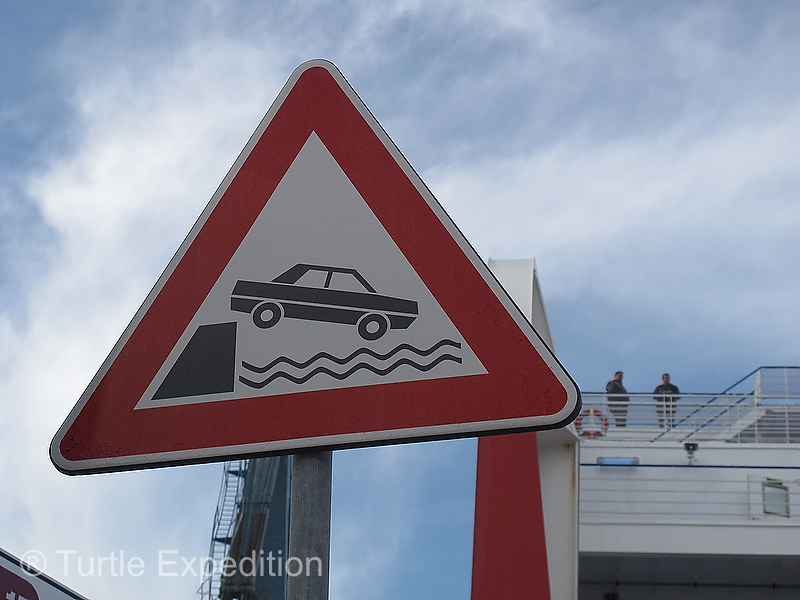 A subtle reminder warned that there were no guardrails. 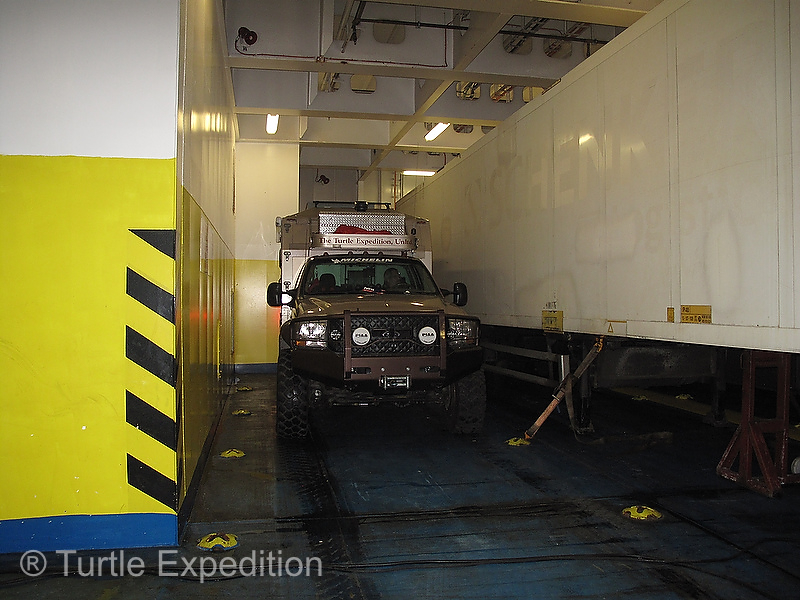 It was amazing how many huge semis poured out of the hold as we drove in and up to the second level ourselves, feeling very small. 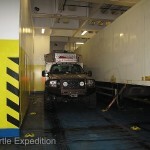 Tucked safely into a corner next to a semi trailer, we locked up the truck and retired to our cabin. 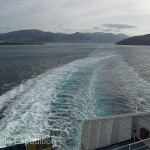 Calm waters would mean a quiet voyage across the Adriatic Sea. 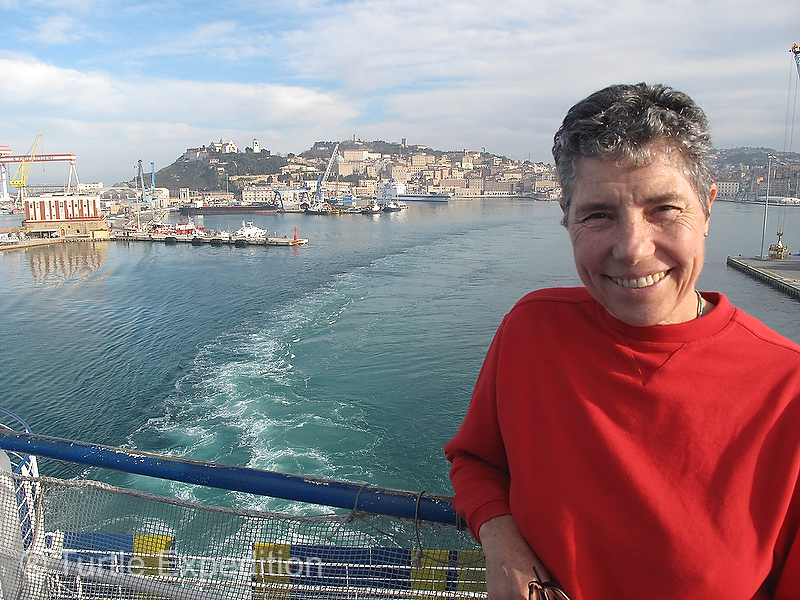 As the Italian coastline receded in the distance, we felt the excitement of our next adventure.